This one was somehow easier to type than the rest of them. I am not sure if it is because I am much more aware of the differences in the functions, or it is because I watched it for almost a decade and my intuition helped me with this. I will only use example that I can think from the top of my head. Because there are over 700 episodes with movies and OVAs and magic files thrown in, it is hard to check the material for all the counter examples. First of all, he seems to be using his Ni a lot when using a deduction. For example, in the case where Kisaki's hairdresser killed her former boyfriend, it was Ni that told him that something was wrong with the chair. Also, in the case of the the car that blew up because of the static electricity, he got the feeling that something was wrong with the information, but not what until he figured out why Haibara is not touching the car. This also shown that he is using the introverted perceiving function. Also, when he is using the extraverted perceiving function, it is Se. I can not remember the single instance, where I saw his use Ne as a way of perceiving function. On the other hand, he notices things in the real time. For example, in the first case with Hattori that opera was loud (I know not the best example maybe), or when KID had his teleportation trick, he noticed that the words on the screen don't make sense, and in the case of his walking trick, he noticed that he came without googles. He is also goo at sports, especially football, and while I would never define Se user by just that, it is another piece of the information that fits. 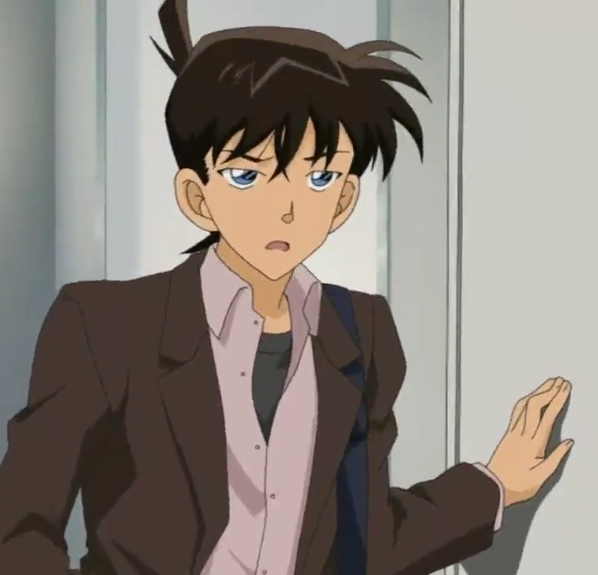 But when we look at the Shinichi in kindergarten, he is not displaying these Se qualities as openly. He notices things, but only something bothers him. Also, he prefers to read a book in the library than going to the kindergarten. On the other hand, he shows the planing and efficiency even in the kindergarten. He hid his own sakura nameplate, just so he could later told the bullies that they are idiots. This planing, especially when it comes naturally to children, it usually a sign of Te. And he does hone this ability, with his being able to plan things against organization in such a way, that even FBI is quite willing to go with his plans. He also have strong morals, and his words show a Fi like understanding of morals and not Fe. Fe depends a much more on the outside influence. He, on the other hand, gave a different reason in the first instance of the Shirigami case. He even convinced Araide to lie on the court so that the truth about a murder would not come to life. And we are talking about a person whose catchphrase is: "There is always only one truth." Not to mention the whole if-they-commit-suicide-then-we-are-killers thinking, which is not really allied with the reality. Still when looking at the early life, the Se was not well developed, and his Te was more developed than Fi. I would say that Te in more developed in him than Ni, so that would make him a ENTJ.